Combining short braking distances on wet and dry roads with low rolling resistance has in the past always been considered extremely problematic. Europe's leading tire manufacturer Continental has now launched a product which resolves this problem with apparent ease - the new ContiEcoContact™ 5. 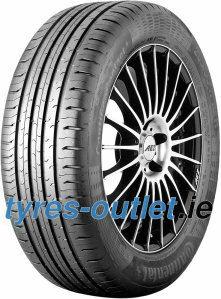 The tire engineers did, however, have to tread new ground in terms of all the tire elements involved - casing, compound, tire contour and tread pattern design - in order to achieve the high level of progress. The main target conflicts when reducing rolling resistance relate to the safety-relevant characteristics of a tire. 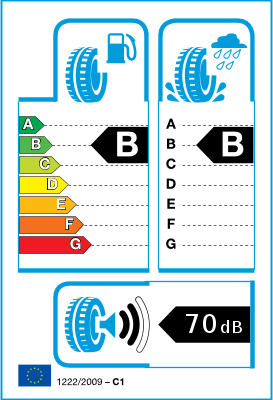 This means that the conflict between rolling resistance and handling can be influenced via the design, whilst the tire compound can assist in the problem area of low rolling resistance and short braking distances in the wet, changing the tire contour allows mileage performance to be enhanced, and the tread pattern can have a positive effect on braking characteristics in the wet. The sum total of the potential improvements helps the new tire to achieve a considerably better overall performance with even more balanced driving characteristics. The engineers at Continental therefore focused on all these areas in order to meet the high requirements made on the new tire for compact cars and large saloons.